Founded on October 13, 1775, by an order of the Continental Congress, the U.S. Navy is the largest navy in the world, and it is steeped in lore and tradition. Presidents, astronauts, artists, and athletes have worn its uniform, and untold thousands have lived by the words engraved on the Naval Academy chapel door: “Non sibi, sed patriae,” or: ”Not for self, but for country.” Here are eleven things you might not know about the Navy. 1. The Navy’s birthplace is in dispute. Other cities vying for recognition as the birthplace of the Navy include Philadelphia, PA; Whitehall, NY; and Providence, RI. The Navy takes no position on its place of origin. 2. All submariners are volunteers. Most attack submarines in the U.S. Navy are 33-feet wide and about the length of a football field. Ballistic missile submarines are the length of the Washington Monument. Submarines stay submerged for months at a time. There are no windows, there is no night and day, you have fifteen square feet of living space and no privacy—and there’s a nuclear reactor right behind you. They don’t just let anyone in a submarine. All submariners are volunteers, and have passed rigorous psychological and physical tests. Claustrophobics need not apply. 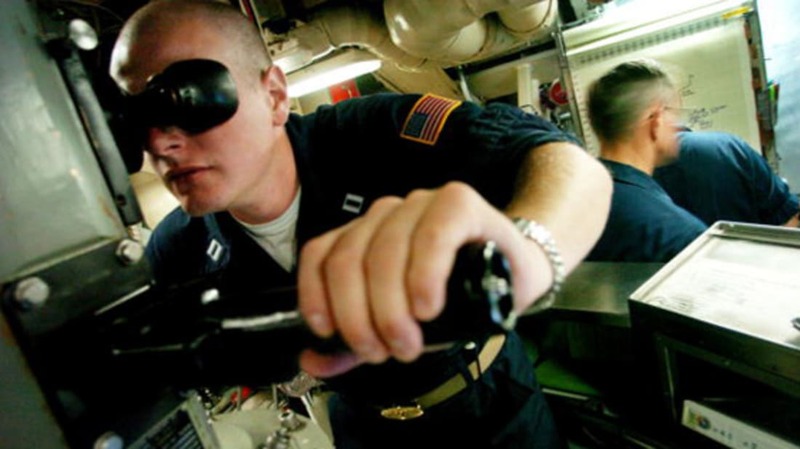 Those serving on submarines are among the most highly trained personnel in the military. 3. How does the Navy name its ships? In 1819, the United States Congress placed the Secretary of the Navy in charge of naming ships—a power he or she still enjoys. Generally, names are compiled by the Naval Historical Center based on the suggestions from the public, sailors, and retirees, and from naval history. The Chief of Naval Operations formally signs and recommends the list to the Secretary. Ships named for individuals are christened by “the eldest living female descendent” of that individual. Commissioned ships are prefixed with USS, which stands for United States Ship. Though the convention had been in use since the late eighteenth century, it was not standardized or formalized until 1907, by Teddy Roosevelt. The trident worn on the uniforms of Navy SEALs is officially designated as the “Special Warfare Insignia,” but it is sometimes called the “Budweiser,” named in part for the Basic Underwater Demolition/SEAL (BUD/S) course, the grueling twenty-five week special warfare school. The trident also has an uncanny resemblance to the Anheuser-Busch logo. 5. Why was TOPGUN founded? The United States Navy Strike Fighter Tactics Instructor program—previously called the United States Navy Fighter Weapons School, but more popularly, “TOPGUN”—was founded during the Vietnam War. The Navy was concerned by the poor performance of its air-to-air missile attacks against the North Vietnamese and ordered an evaluation of its combat aviation program. Inadequate crew training was decided to be at fault, and TOPGUN was established, where pilots would engage in realistic dogfight training against aircraft comparable to the enemy of the day. By the 1970s, Navy kill-to-loss rates went from 3.7:1 to 13:1—a testament to the profound and radical success of the program. It later became the basis of a Tom Cruise movie and, not to spoil anything, but don’t get too attached to Goose. 6. You’ve heard of a few people who know the words to Anchors Aweigh. • Neil Armstrong flew armed reconnaissance as a Naval aviator during the Korean War. In 1951, he landed on Korean soil after his plane was hit by anti-aircraft fire and he had to eject. Eighteen years later, he landed on a more famous patch of ground. • There’s a good argument to be made that Robert Heinlein’s literary universe was influenced by his time at the United States Naval Academy, from which he graduated, and his time on the USS Lexington and USS Roper. • Humphrey Bogart enlisted in the Navy in 1918 and served on the USS Leviathan and USS Santa Olivia. • Before he was MC Hammer, he was AK3 Stanley Burrell (short for Petty Officer Third Class Aviation Storekeeper). • Bob Barker’s time as a Navy fighter pilot means he's familiar with more means of transportation than just a new car! 7. NCIS isn’t just a TV show. The Naval Criminal Investigative Service is a federal law enforcement agency operating from 140 locations in the world. Special agents for the largely civilian organization are charged with criminal investigations (obviously), counterterrorism, and counter-intelligence. It was founded as the Office of Naval Intelligence, and at the time was responsible for gathering information on foreign vessels, passengers, bodies of water, and naval infrastructure. During World War I, its mission expanded to espionage and sabotage. Today, it’s a cash cow for CBS. 8. If not for the Navy, James T. Kirk would have been captain of the USS Yorktown. In the original pitch for Star Trek, the ship we know as the USS Enterprise was called the USS Yorktown. Gene Roddenberry renamed it in part for the first nuclear-powered aircraft carrier whose maiden voyage was in 1962. The seafaring Enterprise was (and remains) the longest vessel in the U.S. Navy. Roddenberry felt that the starship at the heart of his series would have had a similar standing as the aircraft carrier, and a new Enterprise was christened. 9. In the Navy, there are no walls or bathrooms. The Navy has a rich lexicon established by millennia of naval tradition. Ships don’t have walls, they have bulkheads. The mess deck is where you eat food, the deck is where you walk. The head is where you’ll find a toilet. The rack is where you sleep. Birds take off from the bird farm or, rather, planes take off from an aircraft carrier. 10. SEAL Team Six has an outlaw past. When Richard Marcinko founded SEAL Team Six (so named because there were only two other SEAL Teams, and he wanted the Soviets to think the number was much larger), he did so quickly and effectively. Because the unit was so cloaked in secrecy, the best decisions weren’t always made about spending and training. Marcinko, a combat hero and visionary, went on to found a unit called Red Cell (designed to test military units, tactics, and security) and would later spend time in federal prison for defrauding the government. The present name (that we know of) for SEAL Team Six is the Naval Special Warfare Development Group. 11. The first admiral in the Navy was David Farragut. Even if you’ve never heard the name, you know his words, allegedly spoken at the Battle of Mobile Bay: “Damn the torpedoes! Full speed ahead!” (It’s unknown whether he spoke those exact words—different accounts give slight variations.) He was commissioned into the U.S. Navy at age nine. His adoptive father, Captain David Porter, probably had some hand in this. At age twelve, Farragut fought in the War of 1812. Though he was born in Tennessee, he remained steadfastly loyal to the Union during the Civil War, and after he seized the city of New Orleans, was promoted to Rear Admiral—a rank created specially for him by Congress. President Lincoln later promoted him to Vice Admiral (Farragut would later be a pallbearer at Lincoln’s funeral). Following the war, he was made the first Admiral of the Navy.